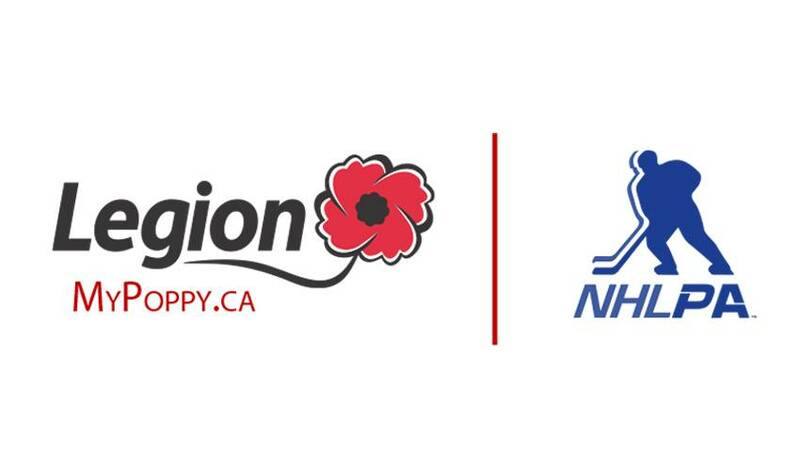 The NHLPA is proud to support the Royal Canadian Legion’s digital Poppy campaign. Go to www.MyPoppy.ca to take part. OTTAWA, Oct. 22, 2018 /CNW/ - The Royal Canadian Legion's Remembrance Day Poppy just became digital today, for an online fundraising campaign that is the first of its kind in the world. To complement the traditional lapel Poppy, a new "Digital Poppy" will be available at www.MyPoppy.ca from October 26, 2018 to November 11, 2018. Canadians will be able to personalize it, dedicate it and share it online and add their own family stories and images as their pledge to never forget those who served and sacrificed for our freedom. About The Royal Canadian LegionFounded in 1926, the Legion is Canada's largest Veteran support and community service organization. We are a non-profit organization with a national reach across Canada as well as branches in the U.S., Europe and Mexico. With more than 275,000 members, many of whom volunteer an extraordinary amount of time to their branches, our strength is in our numbers.